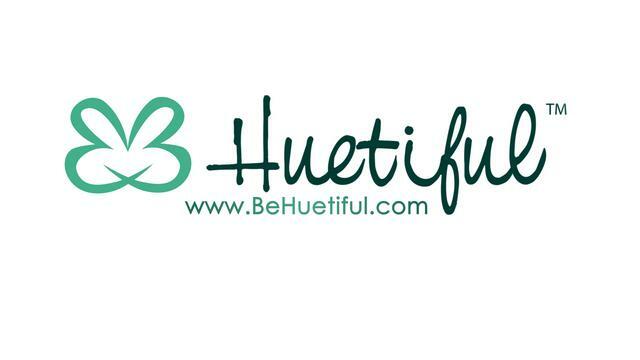 Product Wish List: Huetiful Hair Steamer - Hairlicious Inc. I steam on a weekly basis and it gives my hair so much life. I have a professional standing steamer that I purchased from Sam's Club and it is wonderful. I have used it for so long it is hard to remember what it was like before I used it. However, I believe that it allows my conditioner to absorb into my hair. I usually add peppermint and rosemary oil to my conditioners so my scalp gets a tingling sensation and I get the feeling that my conditioner is penetrating deep within my hair follicles. It is the best feeling. I don't know the name of my steam but it is from the Keller Corporation. 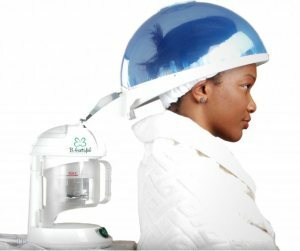 I just wrap my hair in a wet turban, cover with a plastic cap and go under my hooded dryer!! I likely have a cross-country move coming up in the next year and once I am settled, I may invest in one! I steam at home with a LCL hair steamer or using the DIY steaming method (which I actually prefer). I like being able to adjust the height on a stand-up model and it can be set up anywhere. I also like the bigger and wider hood. I hope you are able to get one and do a comparison to see if I made the right purchase! I was caugh into the 'Huetiful Hair Steaming bandwagon' 6 months ago and I've been using Huetiful steamer ever since cause I'm completely satisfied. I was scare, at first, to buy a huge steamer because my place is pretty small, but this one is so easy to store. My prepoo and conditionners penetrates so well in my hair shaft : I've really noticed a huge difference. As for the price is pretty high indeed, but in the long run, it definately worth it. Thanks sunshyne, what do you mean by cheapie conditioner? give an example and will I add it to the egg mixture with oils and sitting under a steaming machine? Example of such reconstructor with hydrolysed keratin! This may be a silly question, but what is the difference or added benefit to steaming vs. a heat cap? This may be a silly question, but what is the difference or added benefits to using a steamer vs. heat cap? @ Temmy - Sunshyne might be talking about V05 or Suave conditioners. If you are a Hairlista member, check out the Home page for list of products and the Newbie Central group. I got my steamer from LCL Beauty about 2 years ago. 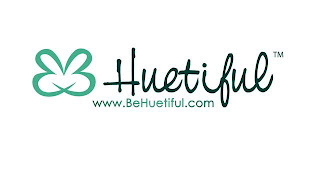 I was interested in the Huetiful steamer for portability and storage. However, I realized that I would have the same problem that I had with my tabletop hooded dryer... getting the chair and dryer height right. Otherwise, I'm constantly adjusting chair and/or dryer. Plus, the LCL steamer takes tap water and was on sale for a lot less than the Huetiful steamer. In the winter time, I usually steam every other week. This summer has been really hot so I've only steamed twice since early June. Sometimes I'll do the DIY steam treatment when I don't want to get the steamer out. Overall, I like how steam helps my hair. It's a good investment. If you can't afford it or don't have the space for one, the DIY steam treatment works very well too!